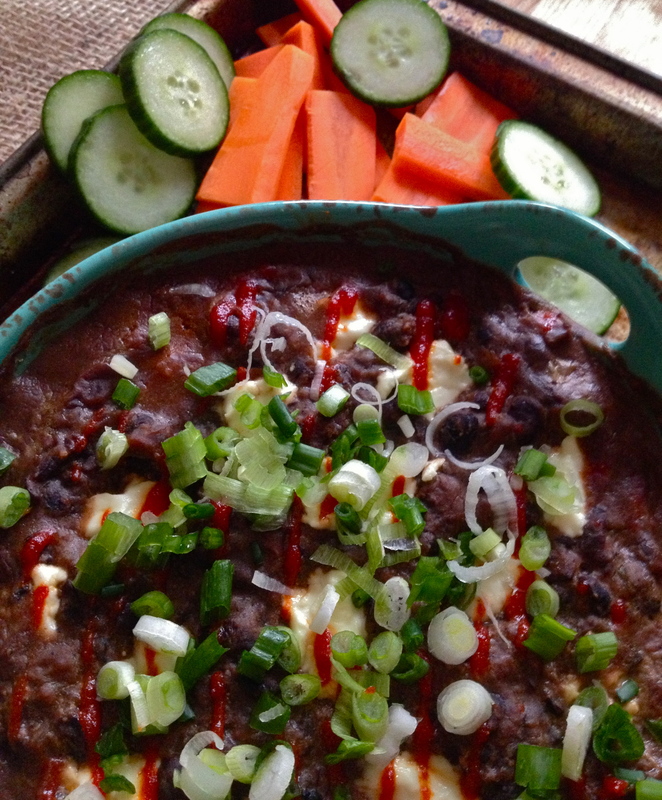 Black Bean and Goat Cheese Dip. After a month hiatus from blogging, I’m back! It’s been a very busy, fun month which included a fantastic ten day vacation in Paris! Hopefully this Europe-trip-in-the-Fall thing is starting to become an annual habit for me – at about the same time last year, I was heading off to Scotland for 10 days of Highland hijinks. Paris was so lovely, and it was wonderful to get to spend a full ten days in the city. We were really able to combine sightseeing with relaxation in the best possible way, while sprinkling in lots of amazing eating! Here are some highlights of the trip, before we get into recipe-land. 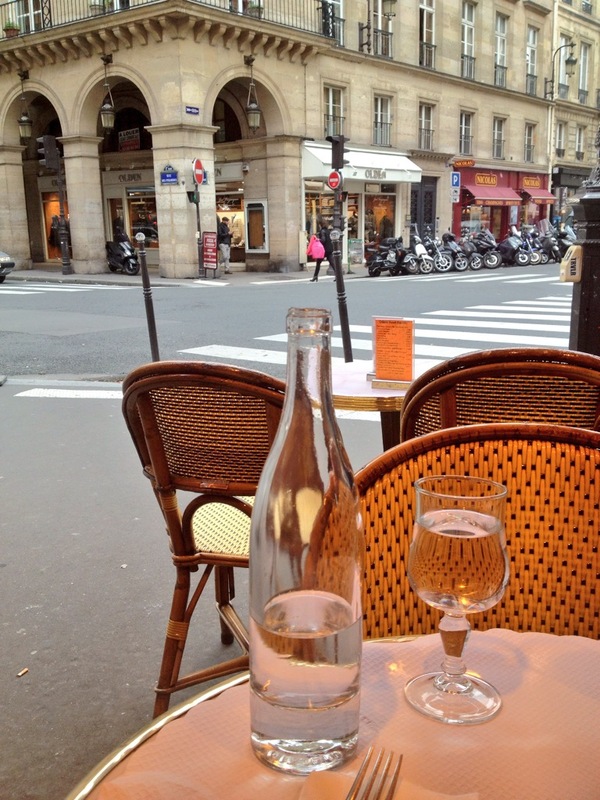 I love the ubiquity of Paris cafes – they mean instant peace and a full tummy, with a side of people-watching. The intermittent Fall rain was a great excuse to drop in. 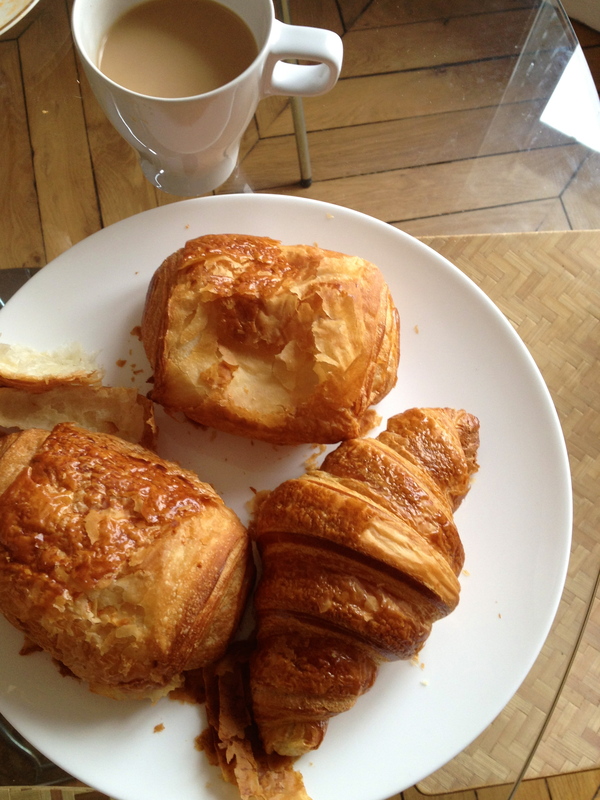 Probably my favorite pastry of all time is the buttery, chocolate-filled croissant-like bun known as pain au chocolat. Pair it with a cup of black tea and you’ve got a breakfast of champions right here. SO GOOD. 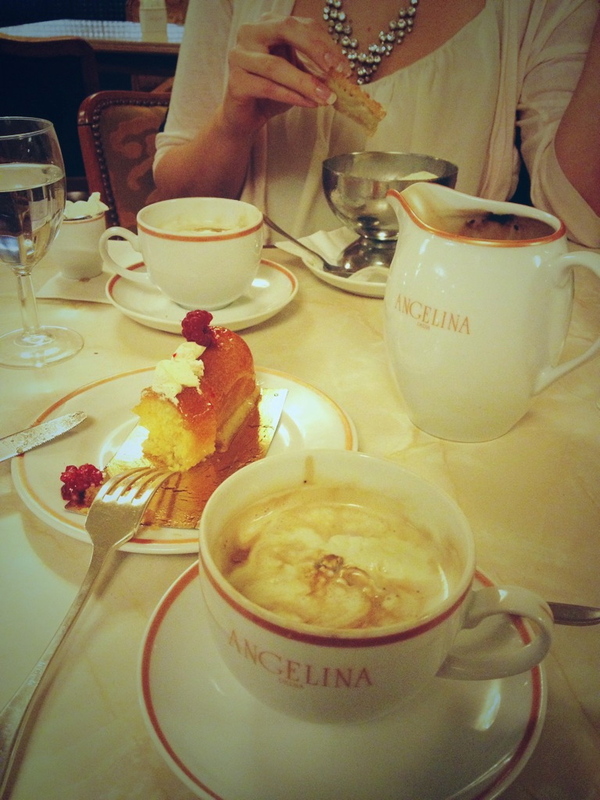 And not pictured: a HEFTY daily dose of macaroons that would rival the excesses of Versailles. Nothing beats a chocolate macaroon. Except 5 chocolate macaroons. 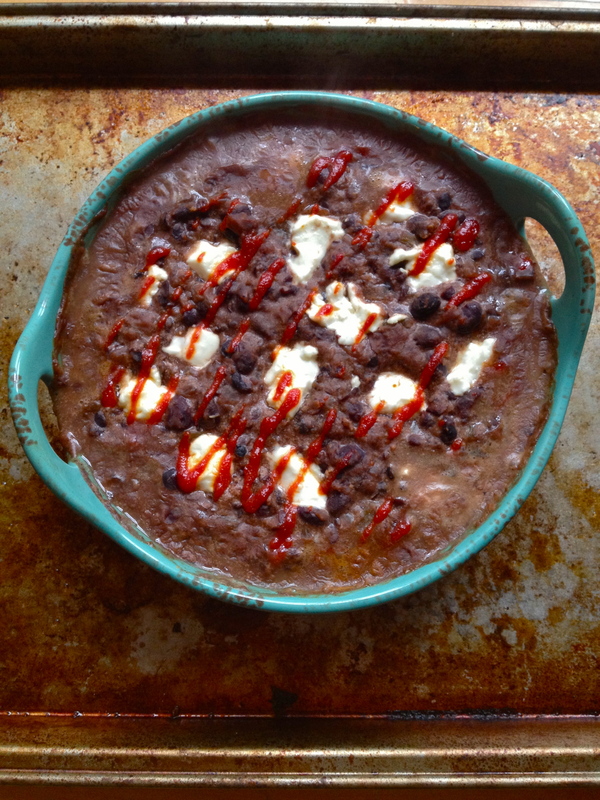 And now, folks, for the recipe: a creamy, spicy, delicious black bean and goat cheese dip. In a bigger saucepan than the inexplicably small one I chose to use for this, heat olive oil or bacon grease over medium flame. Saute the onion and garlic until soft, about 5 minutes. 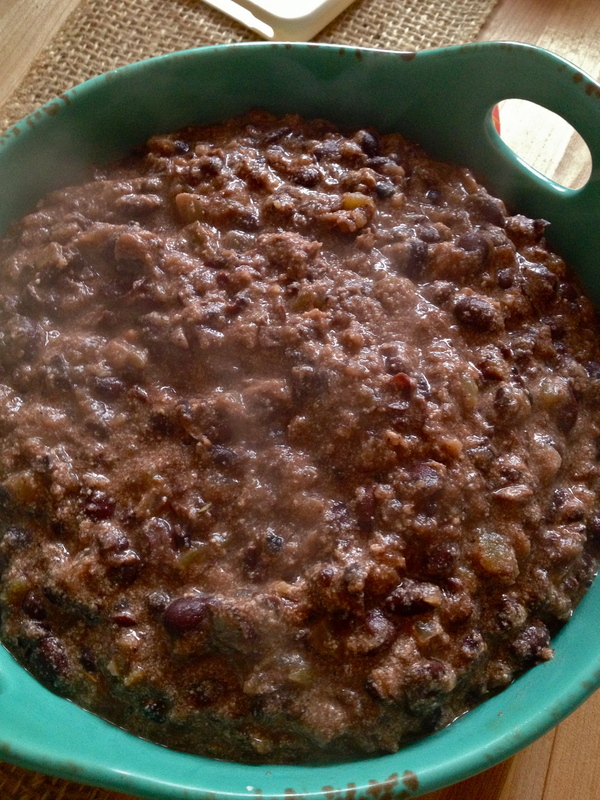 Stir in the cumin and cook another minute, and then pour in the first can of black beans. Mash with a potato masher. Stir in the vegetable stock and green chiles. Simmer until most of the liquid has evaporated. 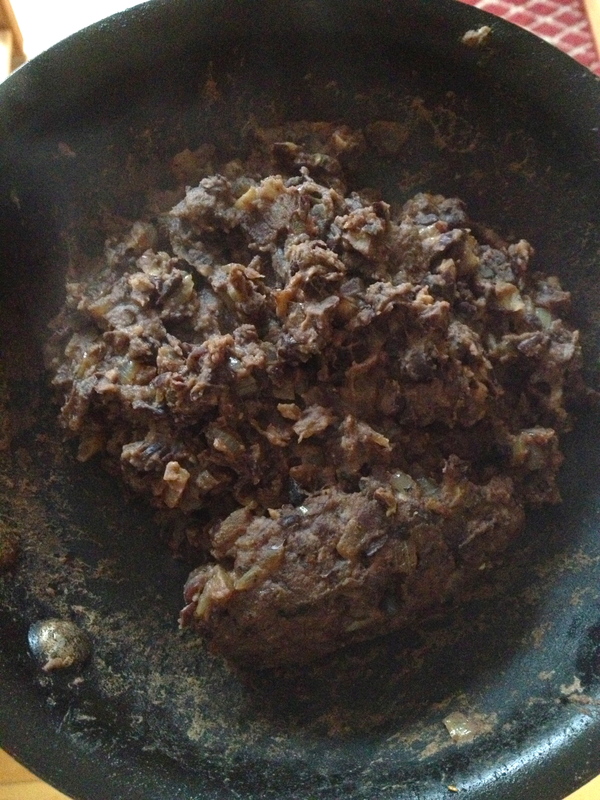 Then add the second can of beans and mash again, a little more coarsely this time. Remove from heat. Stir in the Greek yogurt, oregano, salt, and pepper. 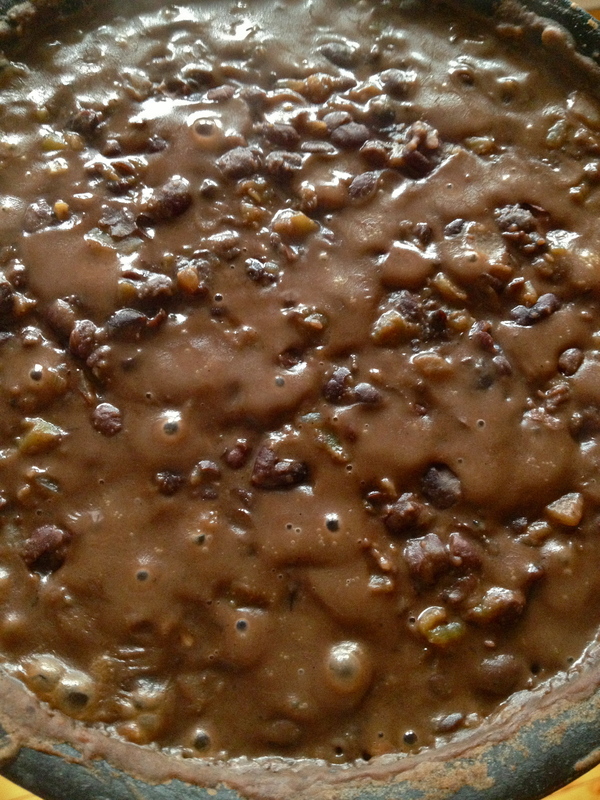 Transfer the bean mixture to a baking dish. Break up the goat cheese into small pieces and press them into the dip, speckling the top with the little white gems. 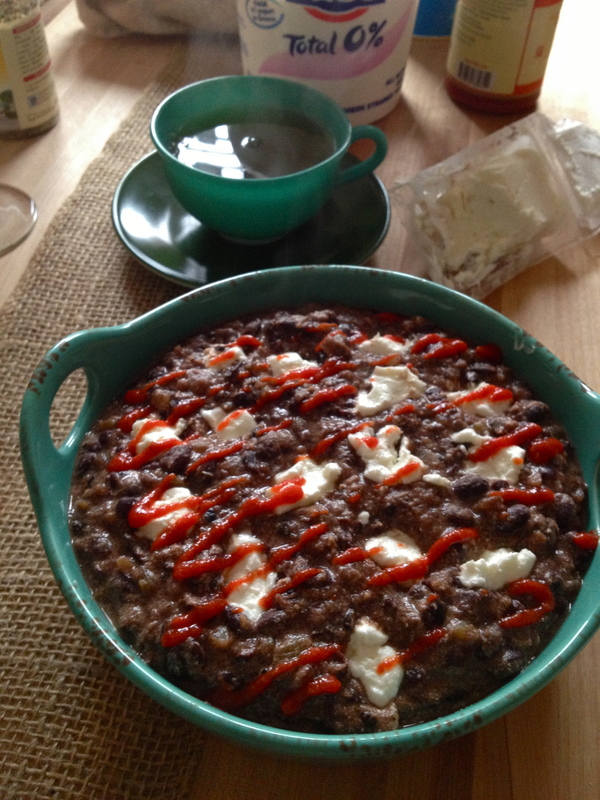 Drizzle sriracha or other hot sauce over the top. Bake for 20 minutes. As the dip bubbles, it might bubble over, so make sure you have a pan or a sheet of foil to catch any drips. When the 20 minutes are up, remove from the oven. This stuff is great both hot and room temperature. Just before you serve it, sprinkle with chopped green onion. Serve with tortilla chips or pita bread, or do what I did and cut up some carrots and cucumber for dippin’. Previous Meaty Chili with Beans and Kale. Next Eternally-Fresh Berries and Greek Yogurt. This dip was delicious!! Thanks for posting the recipe! Arghhh no! I’m gonna spend the next year making “etag” a word so that we can have a bean dip-eating scrabble rematch this time next year. 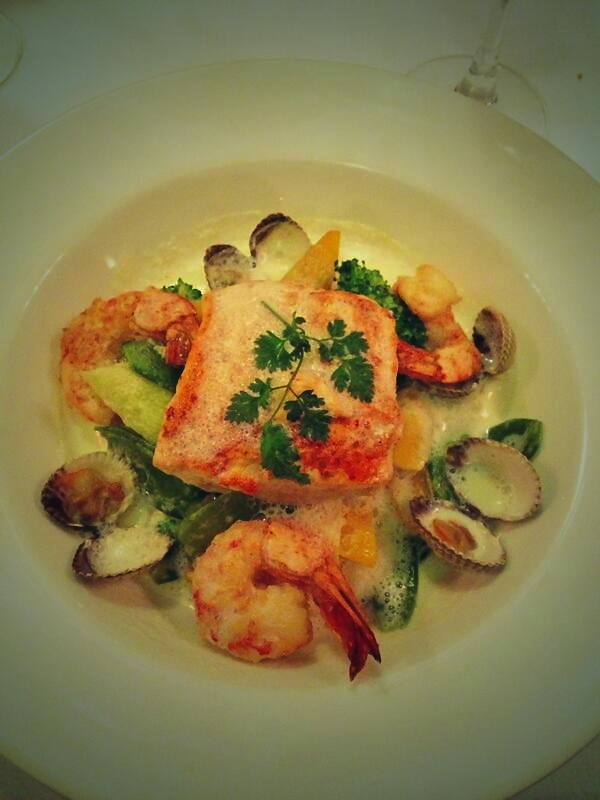 What a great trip …..nice photos….gorgeous food. 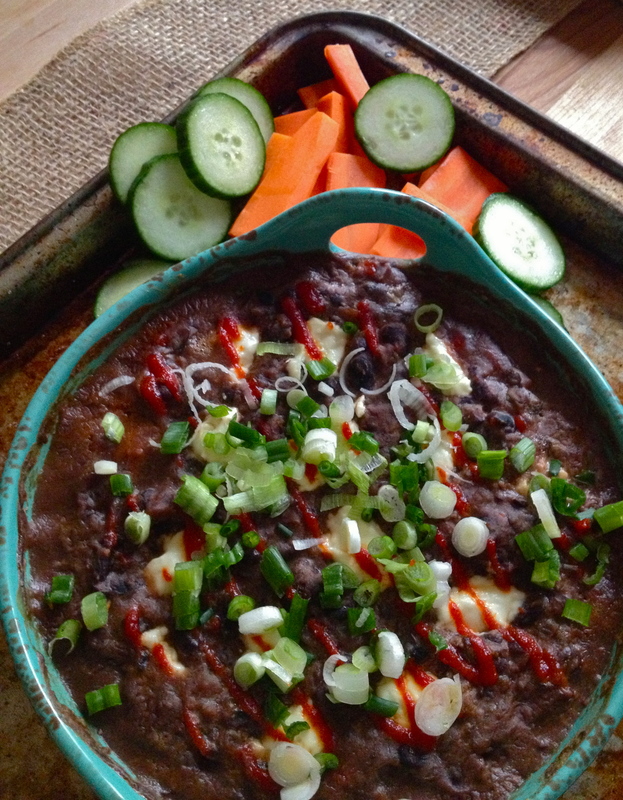 Thinking the bean dip might be good when the happy couple get home…. Oohh yes!! Can’t wait to see them/cook with you all!